You are probably thinking I should rethink my choice of the word fortunate, but I am glad I got the chance to do this climb. 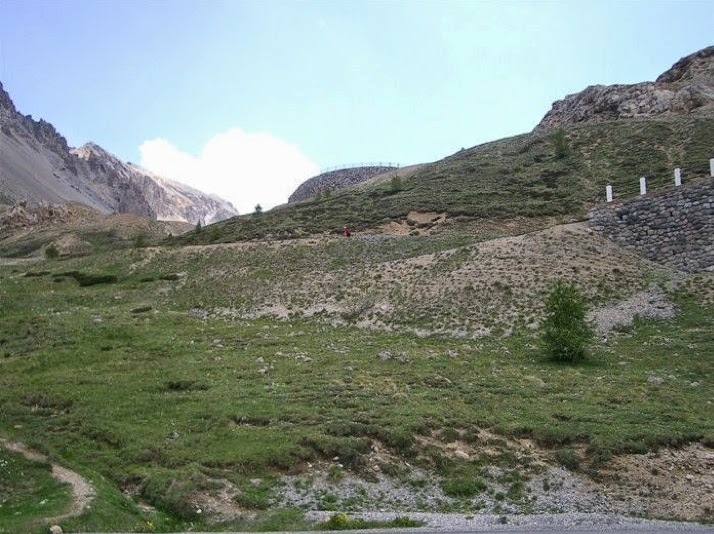 The Col d'Izoard is an epic climb, not only because it is rough and tumble out in the middle of nowhere cycling, but because this is the place of legends. 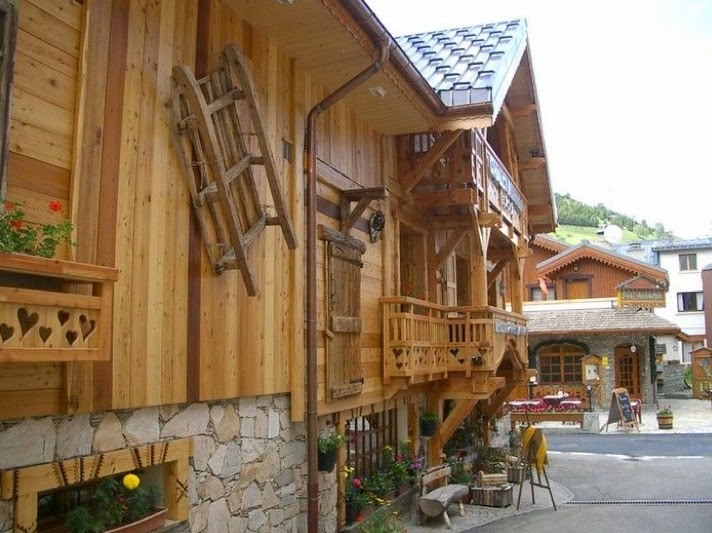 Fausto Coppi and Lousion Bobet made this climb famous and a small museum and plaque mark their history on the Col. 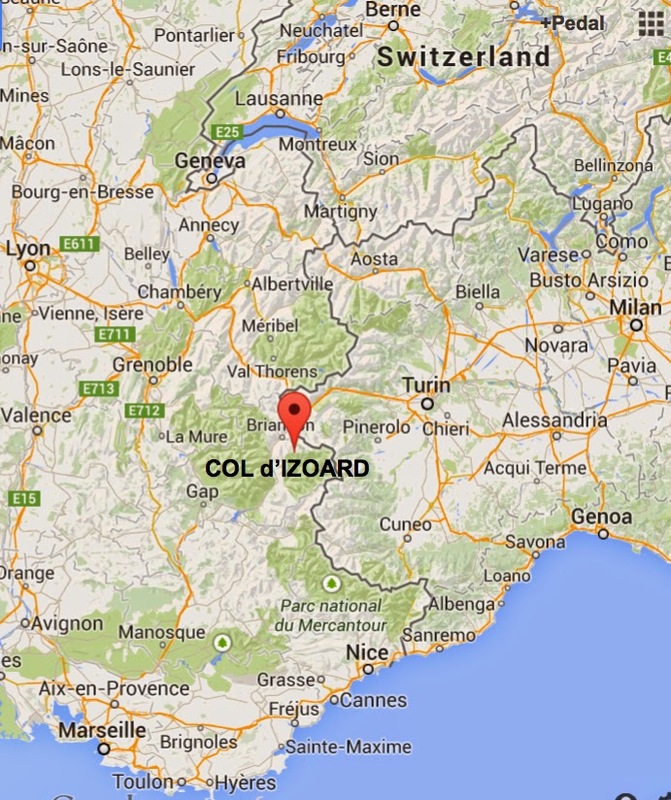 Dirt from the Col d'Izoard was brought to Fausto Coppi's tomb; geez that's kind of intense. 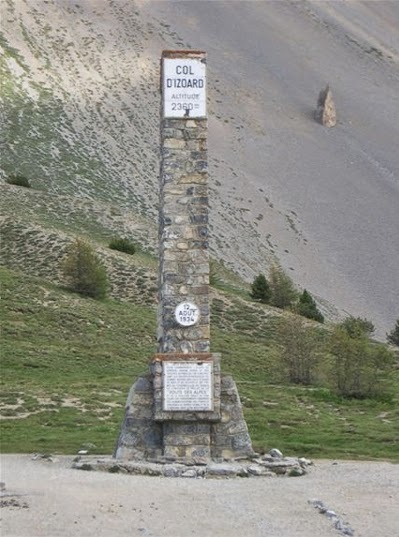 Apparently on this Col, there were "gifts," because it was on the Col d'Izoard where Gino Bartali was given the stage win by Coppi in 1949, because it was Bartali's birthday. Nice gift. Lousion Bobet made history in the 1953 Tour de France when he gained over eleven and a half minutes off his rivals during this one climb, moving him solidly from third to first place, and securing the Tour win. There are more stories of Bernard Thévenet taking three minute off of Eddy Merckx, or Greg Lemond taking 13 seconds off of Laurent Fignon. This mountain can be decisive. 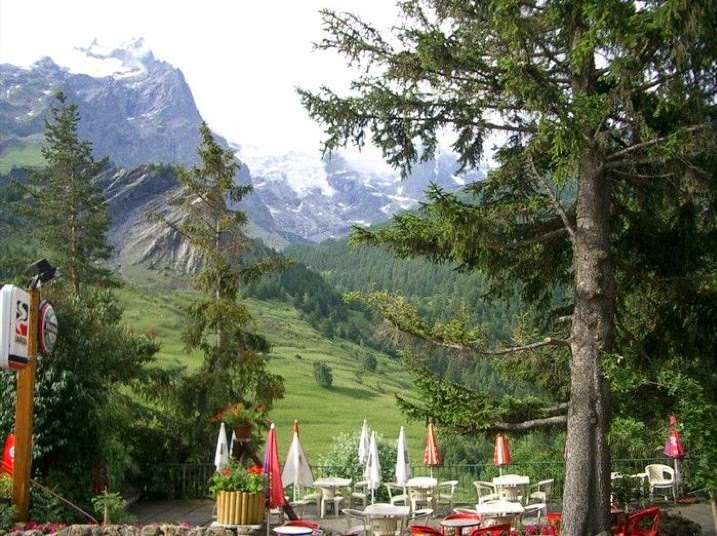 This mountain is tomorrow. 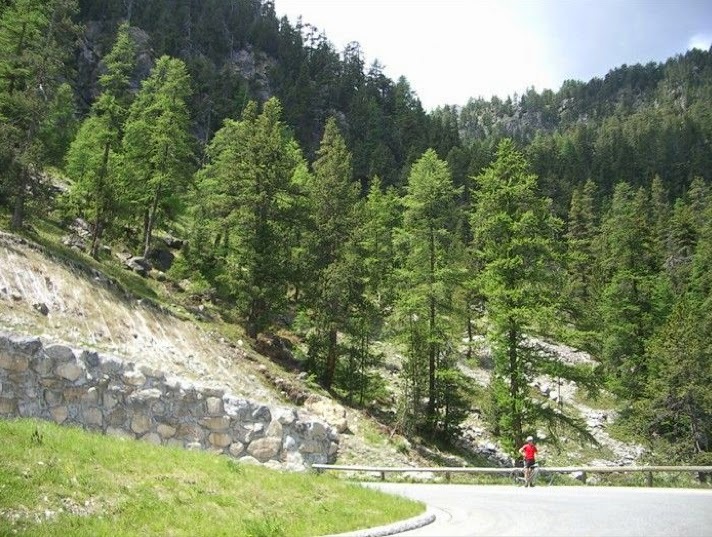 The Col d'Izoard is just one of many incredible climbs in the Alps and is featured on My Top Twenty Climbs in France. The Col d'Izoard is rugged beauty. 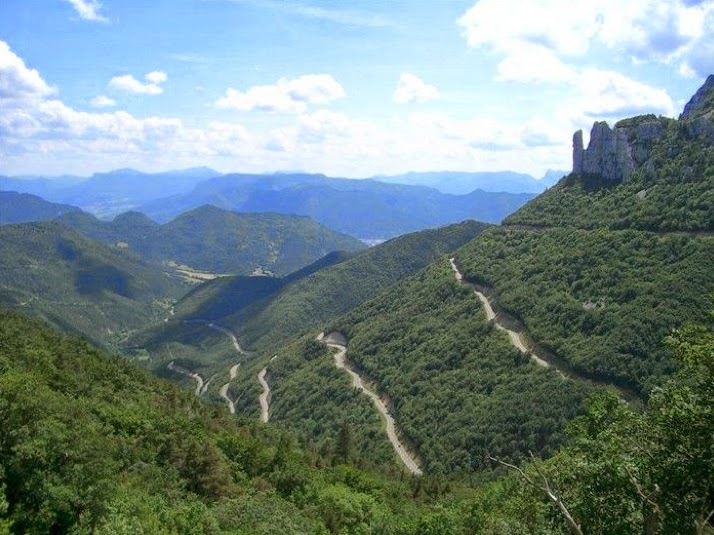 As monumental as Col du Galibier or Mont Ventoux in making the cyclist feel very small in the presence of such natural grandeur. These are the mountains where elements (cold or hot) can mess with a cyclist. 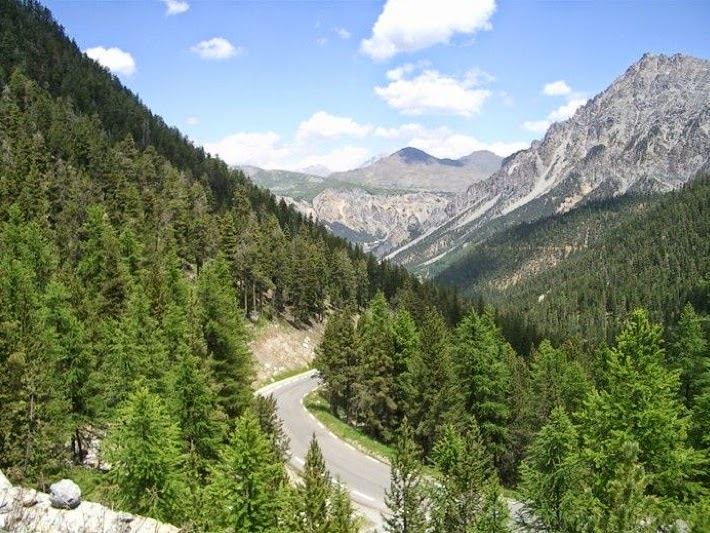 The Col d'Izoard has been featured in the Tour de France over twenty times and also in the Giro d'Italia five times. I actually found plenty to keep my mind occupied during this climb, the big wide roads with changing views, the wildflowers, the abandoned towns, the army personnel training nearby, the 24 black flies gathered on the back of my brother's jersey pockets (we figured out there was a certain pace that had to be maintained to keep the flies at bay). Nobody is around, for hours we rode and saw hardly anyone. Looking back over our nice climb from way way back there. My brother waiting for me, either that or he is brushing off the flies. My brother Mike, in red, on the final switchbacks. Look I made it to the top! This is what I saw at the top. 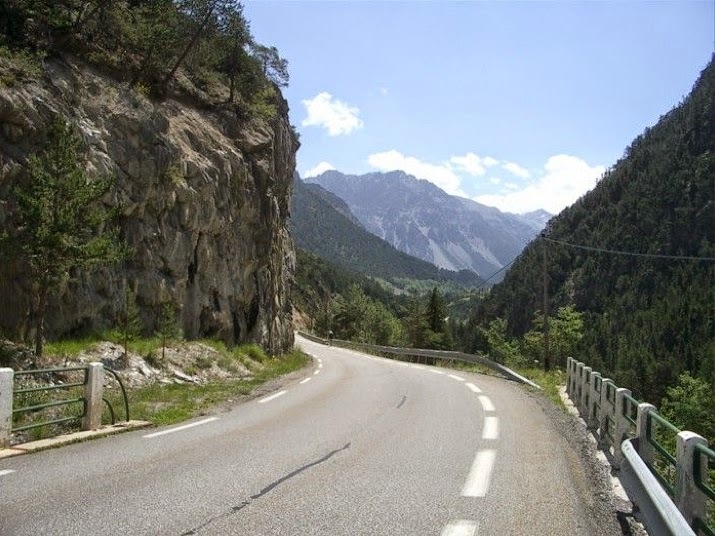 Briancon to Col d' Izoard, a very winding road. Believe me, those last 7km are tough. 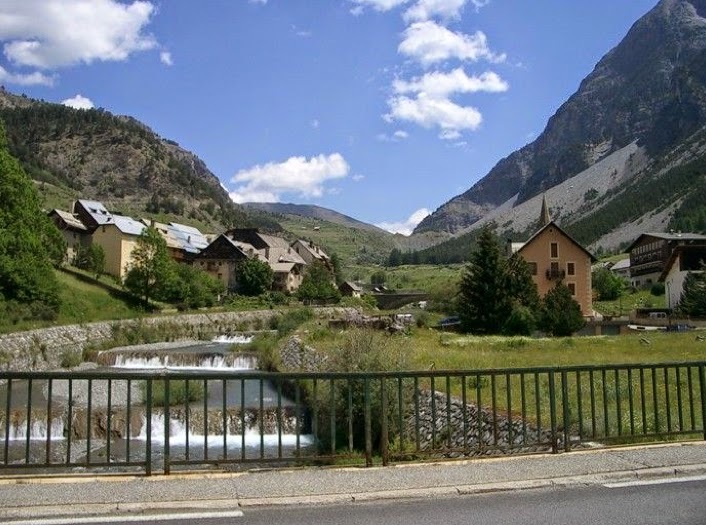 For much of the time tomorrow, the riders will cruise down the big D1091, it is a busy road that I would have no interest in cycling a bike upon, The road from Grenoble to Bourg d'Oisan is okay, but the road from Bourg to Briancon is traffic, trucks, tourists and tunnels, with at times non-existent room for car and cyclist. 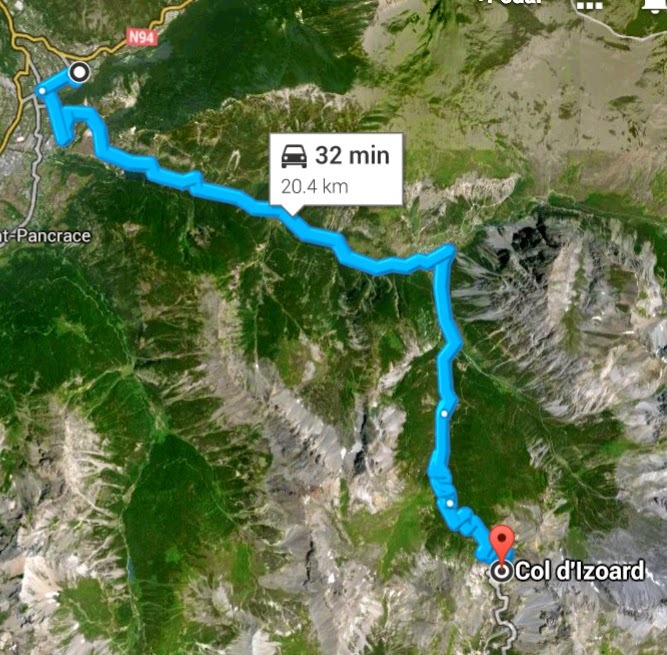 The Col du Lautaret is pretty much a bump on this very long (false flat) service road between ski resorts, although the wonderful views of the surrounding mountain peaks are fine from a car. 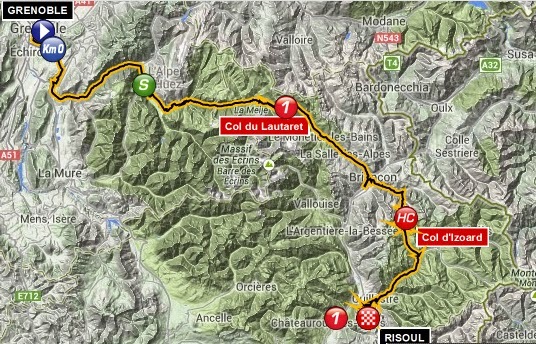 This route goes right past Alpe d'Huez, Les Deux Alpes and Col du Galibier on its way south. 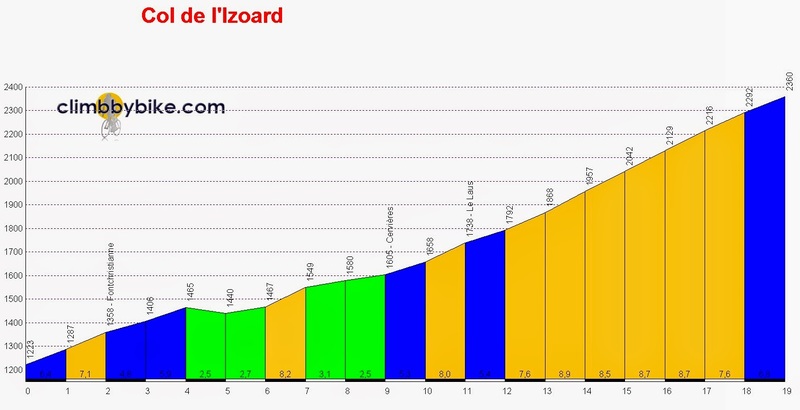 I am sorry for all those tour guide clients who might have to ride any of this road from Grenoble to Briancon, it is far from my favorite (unless you can also enjoy closed roads), but the climb from Briancon over to Risoul will be well worth the trip, especially for the top five GC contenders. 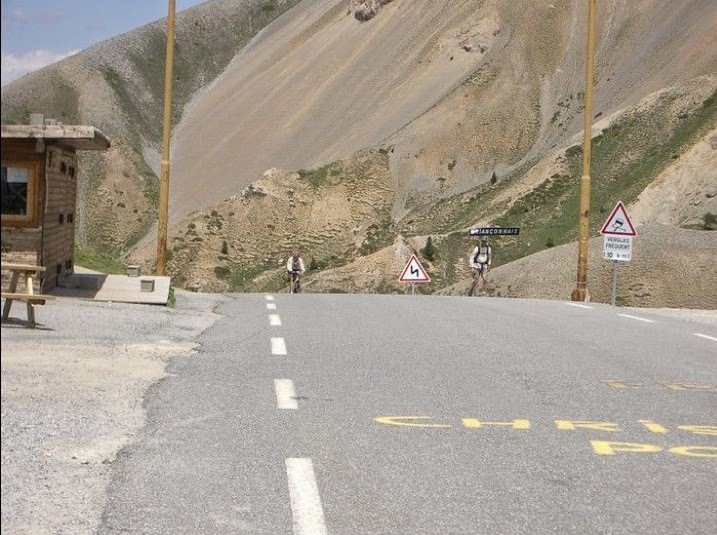 This is the coolest road ever, I have been on it (because this is my photo), and for the life of me, I cannot remember where exactly it was, but it is southwest of the Col d'Izoard, we came through the Vercours, driving south and ended up in Gap. Somebody, please let me know if you know where this is? Coolest road that I do not know.